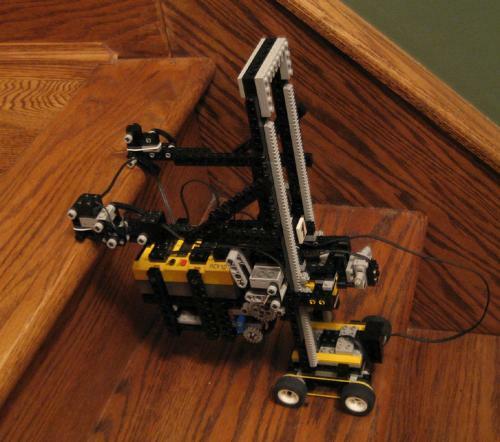 This is the second of two robots I've built that can climb the stairs in my house. It is the faster and more efficient than the first, so I call it number 1. 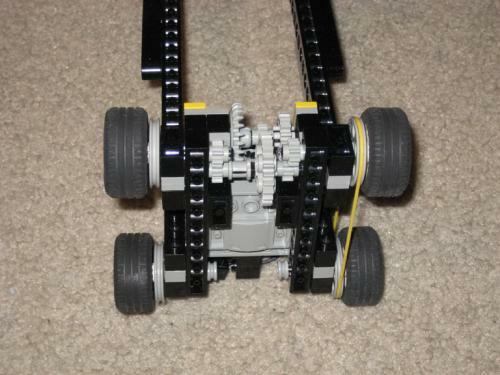 Click on any of the images to see a larger picture. 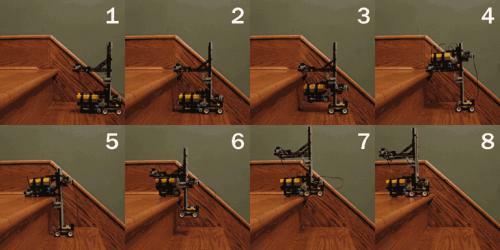 The sequence of images below shows how it works. 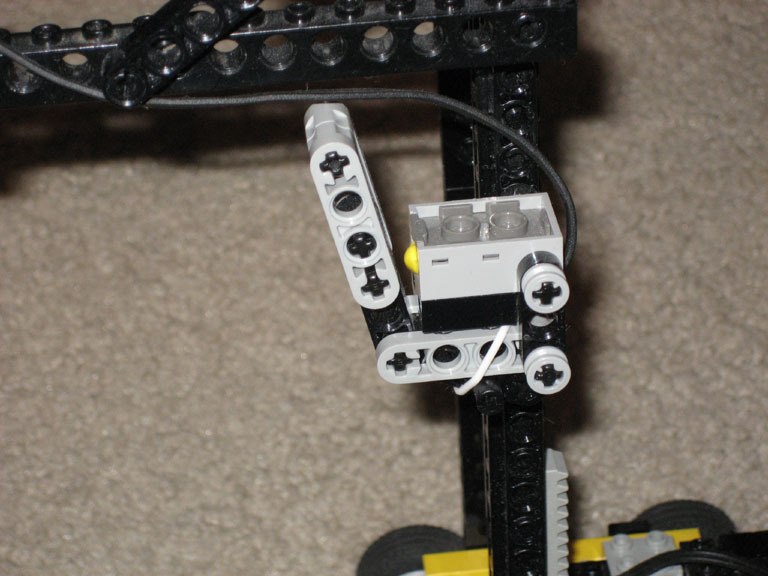 Do you have the mindstorms program for this robot? cool model i have been trying to make one that climbs my stairs, but all have failed. one fell down and shattered in peices. have you thought about making instructions for it on the page. Very cool – I made a stair climber with my step-daughter about 5-6 years ago when Mind storms first came out, it was a simpler and slower design than yours but worked very well at climbing but couldn’t go down, ever since I’ve been thinking about making one that could go both up and down stairs. Looks like yours can do that. Can it actually go from the top to the bottom as well from the bottom to the top of your stairs? 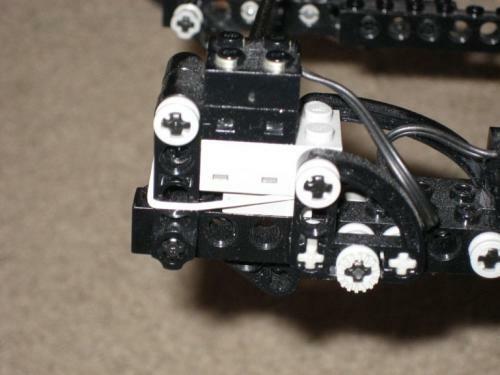 This es t he most epic thing i have ever seen. 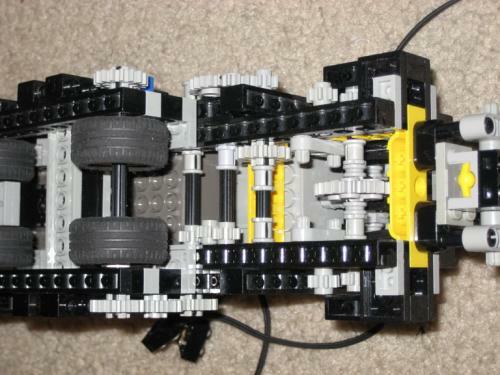 Now I am trying to make my own but cant figure it out can you please give some ideas that can travel up stairs using only the pieces that come with the Lego Mindstorm 2.0?? ?